We are proud to announce our partnership with the Cameron Art Museum in Wilmington to offer the Animation Merit Badge. Scouts will meet at The CAM where they will receive docent guided tour of the exhibits and art instruction from a CAM certified professional instructor. Scouts will work on understanding the principles of animations and develop projects based on these animation techniques. 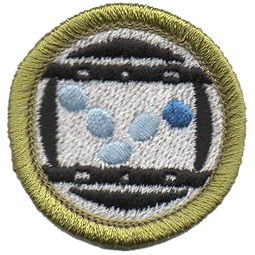 All requirements of the merit badge will be covered in class. Scouts should attend in Class A uniform and wear a shirt underneath that they can paint in (aprons may be provided). A merit badge book, workbook, blue card, all merit badge materials, and museum entrance fee will be provided as part of the registration fee. Parents are not expected to attend as there is limited space in the building and we want to save space for as many of our Scouts to attend as possible.